Wind musical instruments coming from East are pretty similar. 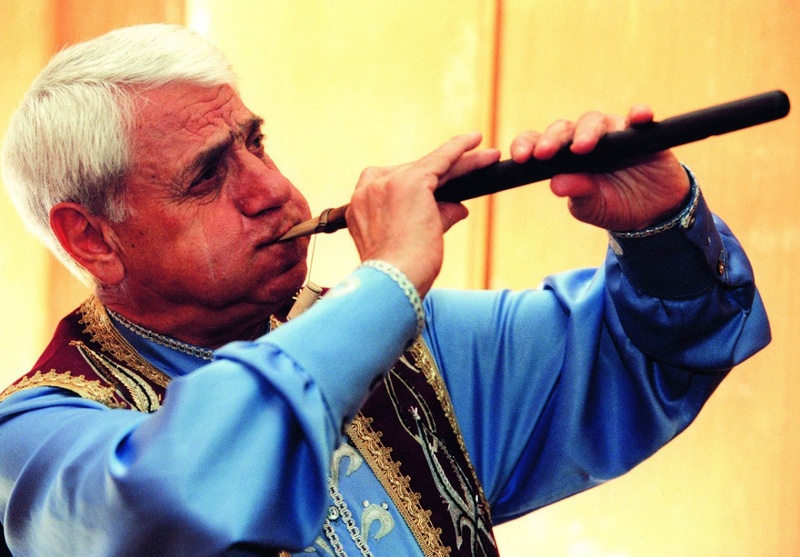 Georgian duduki, Azerbaijan yasti balaman, Turkish mei, Armenian flute duduk… One of the masters of percussion who often gave a rhythm for flute solo, called duduk as the most heartwarming instrument. He claimed, the music of duduk is able to awaken the majestic feeling of love in souls of listeners. It is not enough to transfer the gentleness of lyrical melodies as one has to make duduk in a right manner. For instance, Jivan Gasparian, considered as the worldwide known Armenian musician who made duduk popular told that the most beautiful sound has been given by the instrument crafted from wild apricot. The careful attention towards material also reflects love by which the masters of their own deal put their hearts into producing musical instruments. Some people in other countries ineffectively tried to copy their business making duduk from plum tree and nutwood. Nevertheless, these imitations were suited only for performing melody based on notes but did not show the melodic sophistication of ‘apricot’ instrument. In such a way, through trials and errors, masters and musicians became aware of the fact that from any other trees apart from apricot only harsh and nasal sound are taken. As well, they understood that duduk has to be done with the wide bow stick to keep the sound majestic and a bit sad. Historians argue how much years duduk music counts. Several people call the number of 1500, others who are convinced that verily duduk was depicted in the manuscripts of Urartu state find out 3000 years. 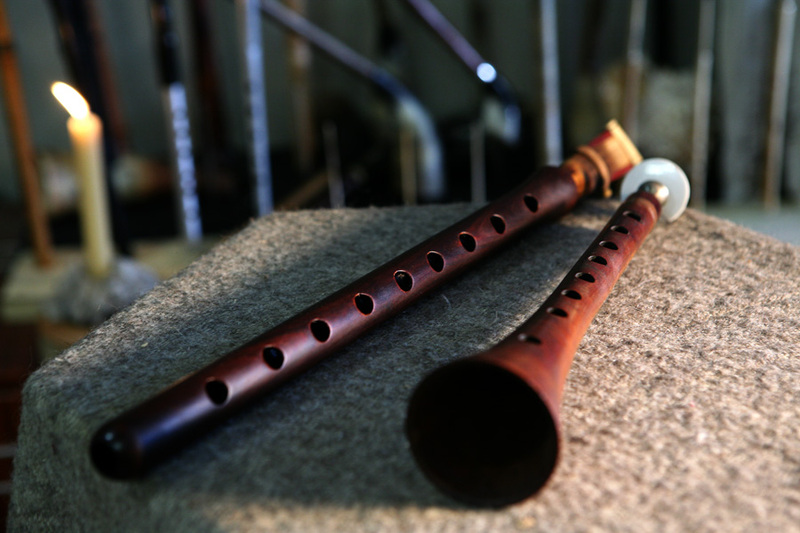 The duduk itself in particular variations travelled along the world wandering from Bulgaria, Serbia and Croatic (where it was known under the name qawal) to China (instrument guan), Korea (music of piri) and Japan (compositions of hirikiri). In Armenia people believe that duduk should be given hand down from generation to generation so as not to allow the memory of ancestors be faded. The touching of this musical instrument resembles the ritual of appealing to the spirits of relatives whom musician has never met. The mystery of sound, secrets of mastership supporting the backdrop of mystery served as the reason to the following fact. In 2005, UNESCO acknowledged Armenian duduk as the masterpiece of World Cultural Heritage. Traditionally music of duduk has been performed solo, however, with the coming of Societ authority in Armenia there was a manner to accompany on the drum dhol recovering nation rhythms. However, modern scientists, such as Andy Narsessian, claim that music of duduk had no common ground with the rural areas yet resembling folk-motives. Moreover, the early recordings of duduk that have been extant reminded the melodies of Turkish flute mei, and it is not surprising as a great deal of citizens of Armenian descent dwelled in Eastern Turkey. Jivan Gasparian described the earliest episodes from the history of duduk in such a way: ‘At first, duduk has not been different from the reed called as ghamish. I mean not the exact musical instrument which we know today but longer reed that became the basis for duduk. As the years went by, the size of reed became slimmer, and they had to add additional part called mas’. The musician told that he used to go to cinema quite often in the childhood to watch the musical films. Even though the plots are absolutely forgotten, Jivan Gasparian distinctively remembered which melodies were played on the flute duduk. In the period narrated by the famous performed the interest to this unusual music raised among the wide audience. It was connected with the concerts of musician Margar Margaryan who decided to make an instrument more convenient for tuning to the appropriate tonality and brought conic form to the entry section. In the meantime, the flute which in Armenia had a name ‘ciranapoh’ (in translation it meant ‘an apricot reed’) decided to call as ‘duduk’ so as to make Russian speaking public recall the name better. The professionalism of performances helped to remove the view on duduk as of the instrument where the shephers played so as pass spare time. The sound of duduk has been filled with the noting rules. 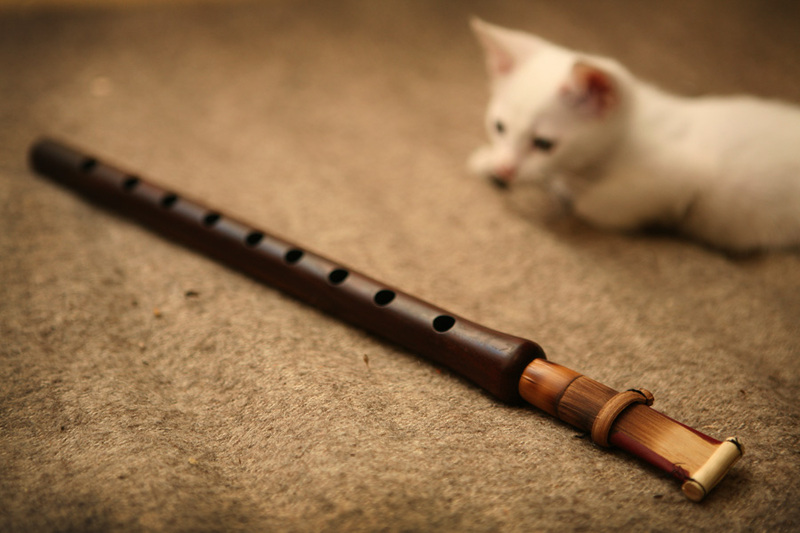 So as to perform music on the flute duduk it has been recommended to use chest and stomach breathing in order to get the proper sound with abandon. Among other principles revealed by the experts for the beginners in music there are the following. One needs to keep duduk fifty degrees inclined, check if the bow stick is a bit opened and take breath only upon the accomplishment of musical phrase. Looking through the musical notes, one may find a recollection how one of fellow men of Margar Margaryan – Levon Madoyan – played compositions in two parts. He invited the second musician on the stage giving to him a responsible task to maintain the accentual atmosphere while the melody was being performed. People aware of the musical theory knew that leading part has been tuned on the flute duduk while accompaniment has been performed on its option under the name ‘dam’. Returning to the impression acquired from the music we suddenly find out that the first melody resembled sad chant, and this atmospheric sound is reached by the efforts of musicians extracted from the instrument ‘dam’ sound similar to the bass of bagpipe. Then, this heavy-hearted music transformed into another state coming to the rhythm of slow dance. Apparently, then a tradition evolved that is nowadays typical for the performers of Armenian folk-music, particularly, to play the repeated extracts quietly, pianissimo, creating a contrast with the leading line of a melody.